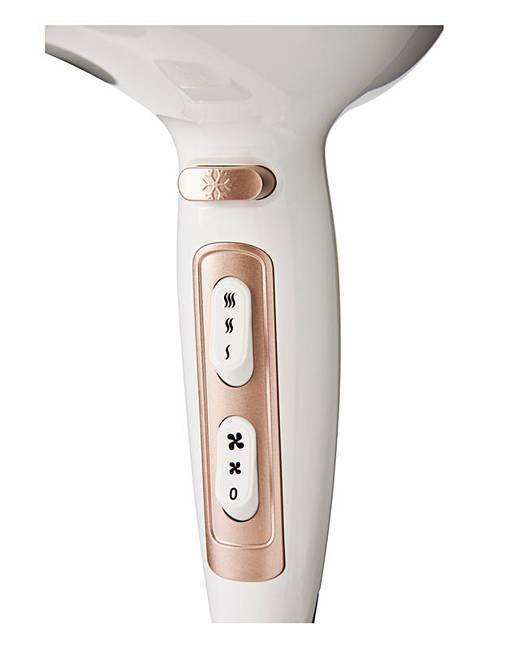 Cosmopolitan Argan Oil Hair Dryer is rated 4.0 out of 5 by 2. 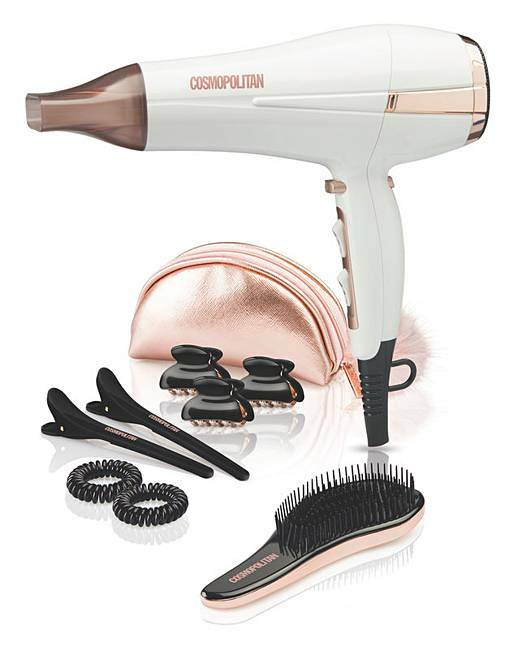 This stylish white and rose gold Cosmopolitan Argan Oil Rose Gold Hair Dryer Set is just what you need to achieve perfect, voluminous hair. 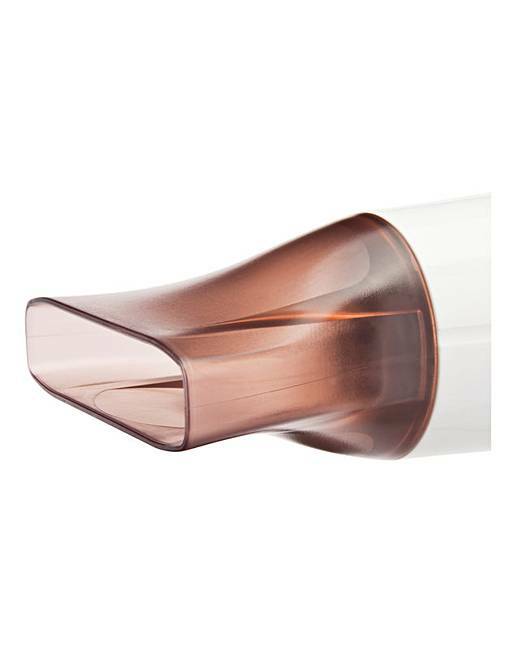 Infused with argan oil, famous for its nourishing and repairing properties, it will give you the silky smooth look you've always wanted. Featuring 2 speed and 3 heat settings, and cool shot. 2.4kW. 2m cord length. 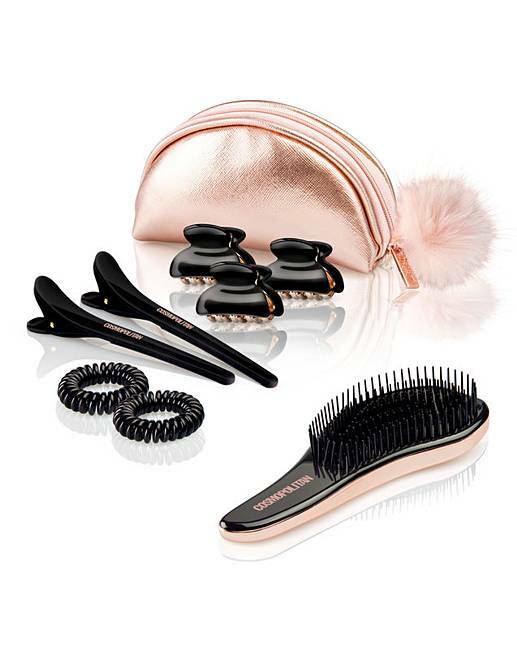 Includes a detangling brush, SOS hair kit, 3 mini bulldog clips, and a rose gold cosmetic purse. Rated 3 out of 5 by Kezzerb from Average hair dryer Not really sure this is worth the money. It is quite powerful but wouldn’t say it’s amazing.